Will you answer the call to assemble? 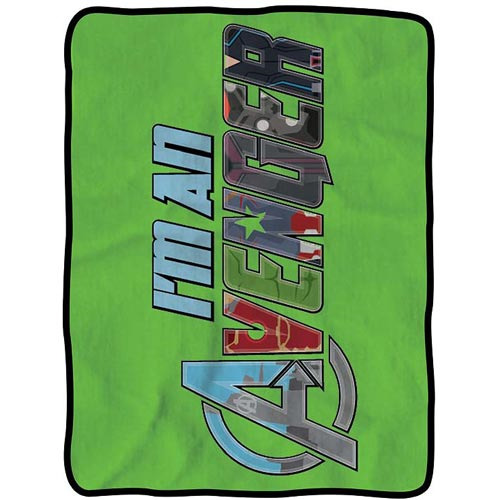 The Avengers I'm an Avenger Fleece Throw Blanket features the words, "I'm an Avenger", with each letter stylized like a different member of your favorite superhero team. Now go on and avenge all over that bed or couch with this awesome blanket! Measures 60-inches tall x 45-inches wide. 100% polyester. Machine or hand wash in cold water. Air dry. Ages 12 and up.